To make this year’s event eco-friendly, the Chicago Area Road Builders Alliance will distribute weed-killing mulch made from recycled asphalt, it will collect oily water run-off from parking lots for reuse in factories and it’ll collect used bikes to be shipped to overseas countries that aren’t as car-friendly as America. Bike donations come with a $50 coupon towards a new car from participating dealers. The road building group is encouraging residents to switch their step trackers to “drive” mode and download its app to compete in the Car Commuter Challenge. Top Drive to Work Day businesses and organizations will be awarded a five-gallon bucket of used motor oil and each member of the winning team will get a lifetime supply of antacids. 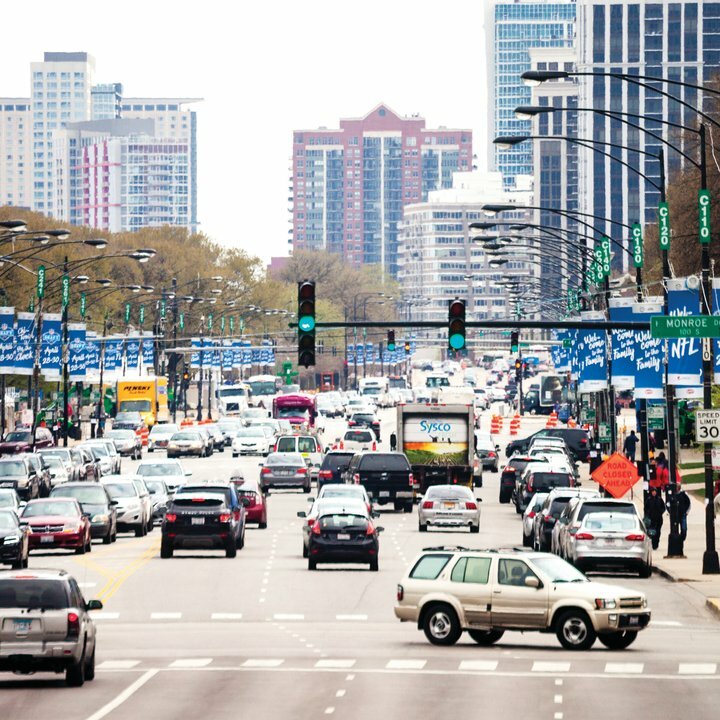 The Chicago Area Road Builders Alliance said its goal is 100 percent of the public driving to work. With only 70 percent of Chicagoland residents driving alone to work, Fault said there are still too many people missing out on the joys of rush hour car commuting. “Nothing wakes you up like road rage, shock jocks on the radio and nearly crashing into a tractor trailer,” said Fault. For commuters not participating in Drive to Work Day, Active Trans is holding the Bike Commuter Challenge June 14-28 and the Chicago Bike Week Rally on June 21.